If you’re overweight, inactive, or have a family history of heart disease, you have higher risk of developing heart problems in the future. Eating some of the best heart healthy foods for men and making healthy lifestyle choices is the best way to lower your heart disease risk and boost your life expectancy, so you can be there for your friends and family when they need you the most. Including the best heart healthy foods for men in daily meal plans is just the beginning. The Fit Father Project 30X (FF30X) is a healthy eating and exercise plan specifically designed for busy men over 40, and has helped thousands of men reach and maintain healthy weights to lower heart disease risks. Fish is loaded with protein, which boosts satiety and helps you shed unwanted weight and body fat. Maintaining a healthy weight significantly lowers your risk of developing high blood pressure, high cholesterol, and heart disease. Protein also helps you maintain lean muscle mass. Another component of fish that protects against heart disease is omega-3 fatty acids docosahexaenoic acid (DHA) and eicosapentaenoic acid (EPA) found in fattier fish, say researchers who conducted a review published in 2016 in Current Treatment Options in Cardiovascular Medicine. The researchers suggest consuming at least two servings of fish weekly to reap heart-healthy benefits. You can also obtain DHA and EPA from fish oil supplements. There are numerous reasons seaweed, also known as algae or microalgae, protects you against heart disease. Like fish, it’s a source of omega-3 fatty acids DHA and EPA. Seaweed is also a good source of fiber, vitamins, minerals, and antioxidants called polyphenols. A 2018 review published in Marine Drugs found that polyphenols found in marine plants, such as seaweed, improve heart-related conditions, type 2 diabetes, high blood pressure, and other chronic disease risk factors. The researchers say new medications made from marine plants may prove effective for heart disease and related conditions in the future. Eat seaweed wrapped around sushi, on salads, in soups or casseroles, blended in protein smoothies, or as seaweed flakes with your favorite heart-healthy recipes. Vegan algae oil supplements are also a rich source of DHA and EPA . Flax seeds are some of the best heart healthy foods for men because these nutrient-dense seeds are loaded with fiber and omega-3 fat alpha-linolenic acid (ALA), which your body converts to EPA and DHA. A 2015 study published in BioMed Research International found that ALA protects against heart disease and stroke. One reason is the fiber in flax seeds is known to reduce blood cholesterol. Add flax seeds or flax seed powder to protein smoothies, soups, salads, oatmeal, casseroles, cottage cheese, or Greek yogurt. Seitan is a plant protein made from wheat gluten, and often used in place of red meat among vegan dieters. When eaten in place of red and processed meats, seitan helps protect against heart disease. Seitan provides just over 20 grams of protein per serving but no cholesterol or saturated fat, which is why it’s a suitable replacement for red meat. A 2017 study published in the journal Nutrients found that almost half of heart disease-related deaths might be prevented with proper nutrition, and plant-based diets lower the risk of type 2 diabetes, obesity, cerebral vascular disease by about 30%, and coronary heart disease by 40%. The researchers say plant-based diets help reverse heart-related medical conditions and decrease blood pressure and cholesterol. The protein and fiber in legumes helps you maintain a healthy weight by boosting satiety. A 1-cup portion of split peas provides about 16 grams of protein and 16 grams of cholesterol-lowering fiber. Add legumes to soups, salads, stir fry, and casseroles, just to name a few. A 2017 study published in Food & Nutrition Research found that regularly consuming walnuts is associated with lower cholesterol and a reduced risk of coronary heart disease. A 1-ounce portion of walnuts provides about 18 grams of heart healthy fat, 4 grams of protein, and 2 grams of dietary fiber. Add walnuts to just about any dish. Top cereal, oatmeal, yogurt, or cottage cheese with walnuts, eat walnuts as a between-meal snack, or blend walnuts into protein smoothies. Like walnuts, pumpkin seeds are loaded with heart-healthy fats, protein, and cholesterol-lowering fiber. That’s why adding pumpkin seeds or other seeds to daily meal plans, especially when used in place of refined carbohydrates, added sugar, and saturated fat, lowers your risk of chronic diseases. A 1-ounce portion of shelled pumpkin seeds provides 14 grams of heart-healthy fat, 8 grams of protein, and 2 grams of fiber. A 2013 review in Circulation found that regularly consuming seeds is associated with a lower risk of heart disease and type 2 diabetes, and reduced cholesterol and blood pressure. Oats are rich in soluble fiber, which helps lower blood cholesterol and your risk for heart disease. A 2018 review published in the journal Nutrients found that eating an extra 1 – 2 servings of whole grain cereal fiber, especially from oats, decreases your risk of heart disease by up to 20%. You can add oats to daily menus in various ways. Eat oatmeal for breakfast topped with walnuts, add oats to protein smoothies or protein pancakes, or top Greek yogurt with oats. Quinoa is one of the most nutritious super foods because it’s a whole grain rich in high-quality protein, various vitamins, minerals, and fiber. A 1-cup portion of cooked quinoa provides 8 grams of complete protein, almost 4 grams of heart-healthy fats, and 5 grams of dietary fiber. The healthy fats in quinoa boost good HDL cholesterol, which protects you against heart disease. It’s a versatile grain so you can eat it with just about any meal or recipe. Quinoa works well as a side dish, in cold salads, blended into protein smoothies, and even in quinoa breakfast recipes! While these fruits were specially mentioned in the review as protective against heart disease and its risk factors, all fruits are heart healthy when combined with a healthy lifestyle and overall nutritious eating plan. Vegetables are loaded with vitamins, minerals, antioxidants, and fiber, and are generally lower in calories than many other foods. That’s why eating plenty of veggies daily keeps your heart and blood vessels healthy. A 2017 review published in Nutrients found that adults who ate 4 – 6 servings of vegetables daily were 32% less likely to suffer from a stroke, and those who ate more than 6 servings daily were almost 70% less likely to suffer from a stroke. When following a Mediterranean-style eating plan, the Dietary Guidelines for Americans 2020 suggest consuming 5 cups of fruits and vegetables daily when eating 2,000 calories per day, and 6 cups when following a 2,500-calorie meal plan. Plant-based oils are some of the best heart healthy foods for men, especially when used in place of saturated fats, trans fats, and added sugar. Plant oils are loaded with monounsaturated and polyunsaturated fatty acids, which protect your heart and boost satiety. The Dietary Guidelines for Americans 2020 recommend consuming 6 to 7 teaspoons of oils daily when following Mediterranean-style 2,000- to 2,500-calorie eating plans. Use plant oils for cooking and sautéing, in protein smoothies, or as salad dressings. Avocados are loaded with heart-healthy monounsaturated fats, which significantly reduce your heart disease risk when used in place of saturated and trans fats. A 2018 study in The American Journal of Clinical Nutrition found that regular avocado consumption is linked with increased heart-protective HDL (good) cholesterol. Add avocados to omelets, salads, sandwiches, smoothies, and just about any favorite breakfast, lunch, or dinner dish. Avocados make an excellent between-meal satiating snack as well. 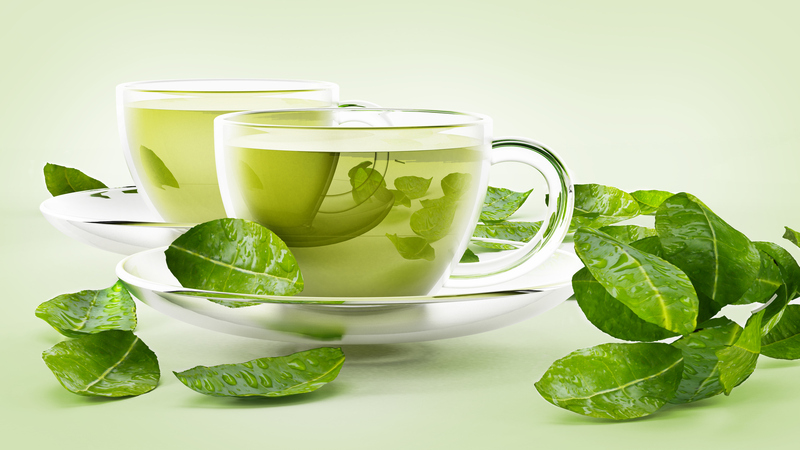 Green tea is rich in antioxidants called catechins that protect you against heart disease. A 2016 study published in the International Journal of Cardiology found that study subjects who consumed 1 – 3 (or more) cups of green tea daily had a lower risk of heart attack and stroke compared with people who drank less than 1 cup per day. Try adding green tea powder to protein smoothies! Losing weight and keeping it off long term can be difficult on your own, which is why the Fit Father Project 30X (FF30X) is here to help! This weight loss plan designed for men over 40 has helped thousands of men shed pounds and achieve a desirable physique. Give it a try today or sign up for a free 1-day meal plan or free fat burning workout to get a feel for what the Fit Father Project is like! *Please know that weight loss results & health changes/improvements vary from individual to individual; you may not achieve similar results. Always consult with your doctor before making health decisions. This is not medical advice – simply very well-researched info on heart healthy foods for men. How To Lose Belly Fat Fast For Men – Discover the Secret Today! How Many Calories Should a Man Eat to Lose Weight?